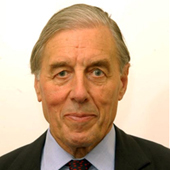 The Lord Ramsbotham GCB CBE (b. 6 November 1934) is a retired British Army officer, who later served as Her Majesty's Chief Inspector of Prisons. He was awarded a life peerage in 2005, and now sits on the cross benches of the House of Lords.